The KVIS Block Club Committee has held Street Meetings for over five years; several streets are invited to attend on each occasion. The meetings last about one hour with time afterward for further conversation; light refreshments are served. Street meetings feature time to ask questions, offer suggestions, air grievances, and request help or attention. 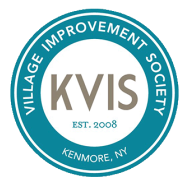 The KVIS has learned a lot through these street meetings, and some of the initiatives and events we planned have come from the ideas, thoughts, and concerns of residents who have attended. To listen to residents thoughts and concerns about the street. To give residents the opportunity to speak with Village representatives like the Police, Building Inspector, Trustee, DPW, about concerns and hopes for the street. To provide general information about what is happening on each streets meeting at that time. To offer tools to help in addressing any problems on the street while improving the quality of life there. To meet other residents in a supportive and relaxed atmosphere.